The Sound of My Soul was published in 2014. 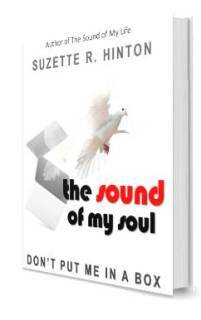 It’s a look back at Suzette’s journey to reclaim her soul, a preliminary to getting her life back. In her signature witty thought-provoking style, the book is a call to venture outside the box where the magic happens. Without its cooperation, one might arrive at the destination but there’ll be nothing worthwhile once they get there. A must read for those seeking quality of life.